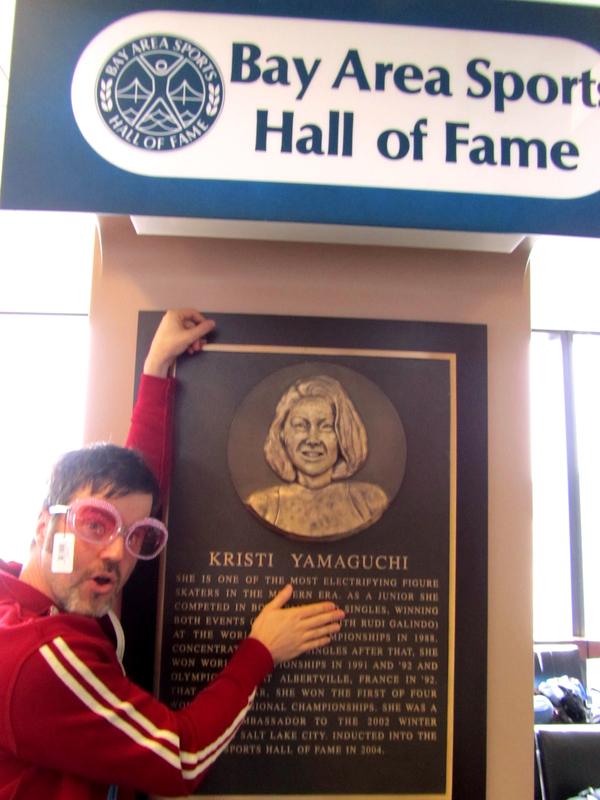 On our way to Palm Springs we discovered a wondrous thing: the Bay Area Sports Hall of Fame Kristi Yamaguchi relief sculpture portrait and placard. It deems her “one of the most electrifying skaters in the modern era.” That’s not a word I would associate with her…perhaps “consistent,” “committed,” “graceful,” “inspiring,” “smooth”? I mean no disrespect to Kristi, but as you can see, this portrait bears as much a resemblance to her as to the love child of Tracy Gold and Joan Rivers. On that note, a friend noted that she looked Jewish. Maybe she is?